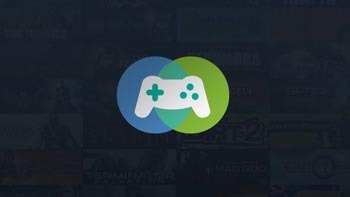 Users lending games through Steam's Family Sharing will go through a two-factor authorization process to ensure lenders know who is borrowing their games. Steam's Family Sharing allows users to easily share game libraries and spread the love of great games without handing over a physical disc. Valve announced some changes to the program, which is still in beta, to give lenders more control and reduce the risk of VAC (Valve Anti-Cheat) or other bans that could occur from unknown users accessing shared games. Users designated as lenders now must authorize both the machines and Steam accounts with which they will share games. Up to 10 Steam accounts on up to 10 machines may be authorized to share a user's library. Those 10 users can log into any of the authorized machines to access the lender's library. Users can still request access to a shared library through a request sent from any machine where the lender has installed games. Previously, lenders only had to authorize which machines would be able to access their shared games. While the policy is more restrictive, it gives lenders control over who can play their games. This also better protects lender accounts from bans resulting from the actions of unauthorized users, as Steam's policy states, "Regardless of who was using your account at the time it was banned, the use and security of your Steam account is your responsibility." If a user given access to a lender's game library conducts cheating or fraud with that library, the lender account will have its Family Sharing privileges revoked and may be VAC banned. Family Sharing is in beta at the moment and began in September. For anyone interested in joining the beta, first join the Steam Community group and wait for an invite.